For some wildfire victims, long-term healing began at ‘reJEWvenate’ – J. 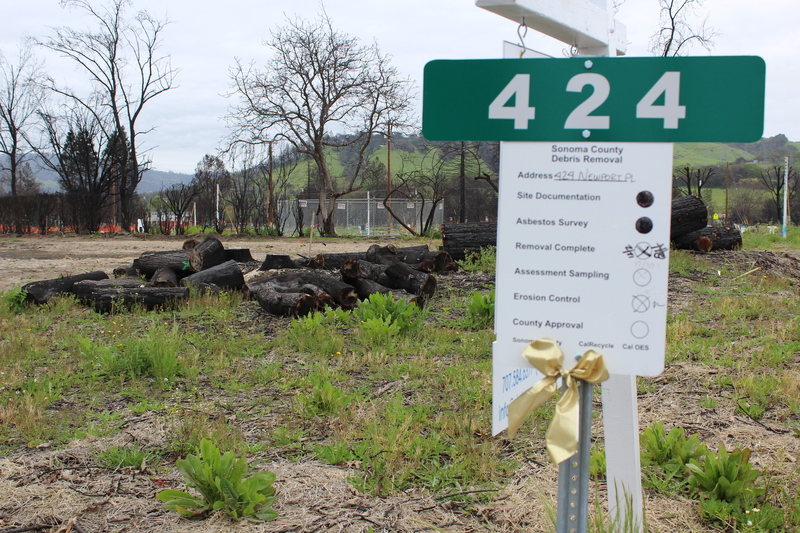 The smoke from the wildfires that swept across the North Bay two months earlier was long gone. But for many who gathered for a program titled “reJEWvenate” on Dec. 3, the long journey toward wellness has finally begun. 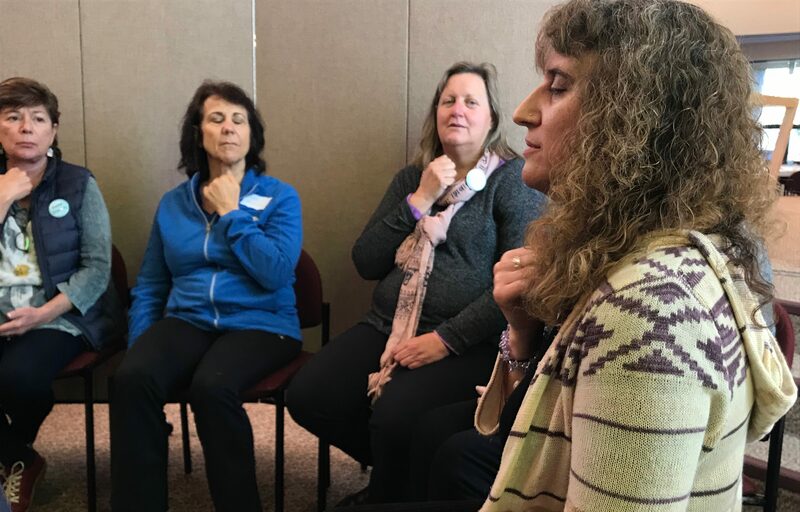 Held at Congregation Shomrei Torah in Santa Rosa, the 3½-hour event brought yoga, meditation, art and writing therapy, chair massage — and a free lunch — to a community in need of healing. 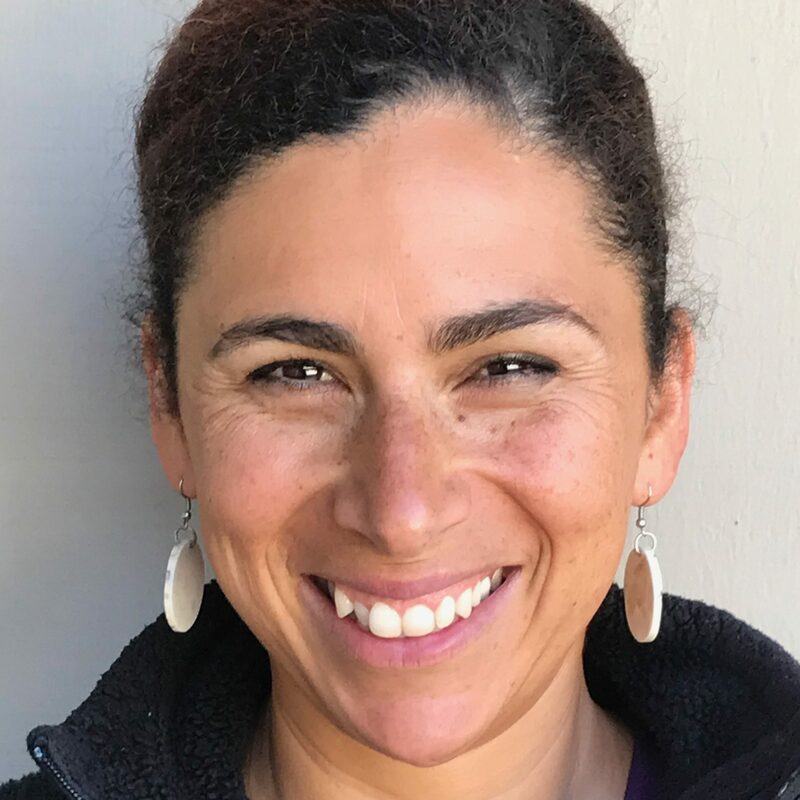 “Now that the initial crisis has passed, we are trying to think thoughtfully and strategically about how to serve the community,” said Roxanne Cohen, senior program officer for the S.F.-based Jewish Community Federation, which co-sponsored the event. Other sponsors were Jewish Family and Children’s Services, the JCC of Sonoma County, IsraAid and congregations Shomrei Torah and Beth Ami (Santa Rosa), Ner Shalom (Cotati) and B’nai Israel (Petaluma). The October fires burned more than 200,000 acres, destroyed about 8,000 structures and killed more than 44 people, according to news reports. As the firestorm raged, Shomrei Torah became a hub for Jewish families and others seeking services and shelter. Congregational and local Jewish community leaders did what they could for fire evacuees who had lost homes or could not return to their homes. 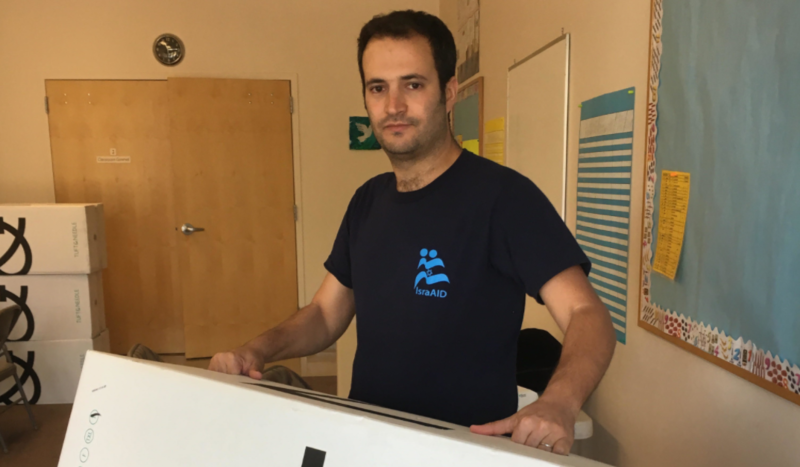 They also received an outpouring of support from Jews across the Bay Area and beyond, with many asking what they could do to help. Part of the response came in the form of reJEWvenate. 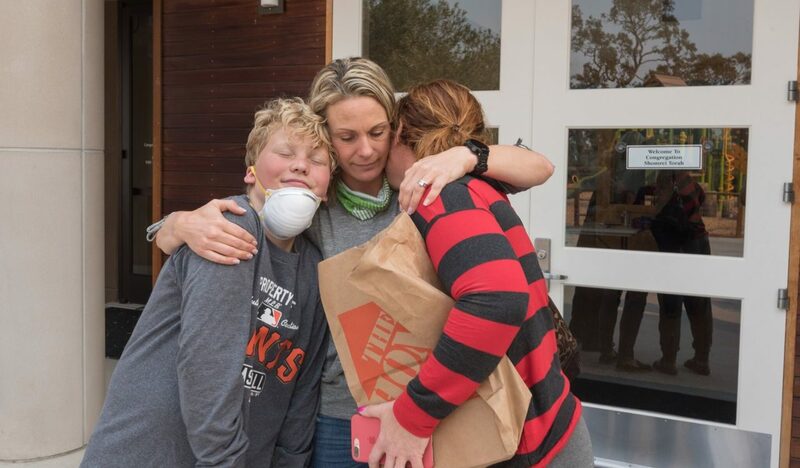 “The healing from this disaster is going to be a long process, and it’s really just beginning,” said Ellen Blustein, executive director of the Sonoma County JCC. Realizing this, Rabbi Stephanie Kramer said Shomrei Torah has cut all nonessential programming in order to take care of people’s “personal and spiritual needs.” Part of that includes dispensing “starter kits” that contain items such as Shabbat candlesticks, challah covers, menorahs and mezuzahs. The items were donated by individuals and organizations. At reJEWvenate, Kramer met with people like Eric and Sheela Hodes, whose home in the Larkfield area of Santa Rosa was lost to the fire. Though the family had let its Shomrei Torah membership lapse after their children had finished their b’nai mitzvah years, they (and other non-member families affected by the fire) received as much care and services from the synagogue as anyone. Upon being handed their starter kit basket by Kramer, Eric Hodes said at first he hadn’t even thought about the loss of their heirloom Judaica. But then memories associated with those items resurfaced. ReJEWvenate opened with a catered lunch donated by Steve and Jennifer Sarver, the Jewish owners of San Francisco Soup Company. After a welcome from Kramer and Rabbi George Gittleman, IsraAid co-CEO Yotam Polizer encouraged the nearly 80 attendees to “take this opportunity to release some of the stress you’ve been going through since the fire.” IsraAid is an Israel-based aid agency that responds to emergency situations, notably natural disasters, around the world. For the first of two healing sessions, community members dispersed into groups and were able to partake in activities such as psychodrama, freestyle writing, massage, Jin Shin Do (a therapeutic acupressure technique), yoga, art and something called Emotional Freedom Technique tapping (a process in which tapping on certain body areas can release energy blockages that cause negative emotions). Alissa Hirshfeld-Flores, a psychotherapist from Santa Rosa, led the EFT session with more than a dozen participants. She focused on teaching easy and effective methods for calming stress. Since the fire, Hirschfeld-Flores said, she has had to start a waiting list because so many people need her services. “I feel very well-used,” she said. “My work always feels meaningful, but now it feels meaningful in a different way,” she said. Her friend, Noa Schwartz, 11, painted alongside and said two teachers at her middle school in Sebastopol had lost their homes. “All the little things you can do to help will help,” she said. The finished stars were to be gathered and dispersed around the community in an effort to spread goodwill and hope in public spaces.